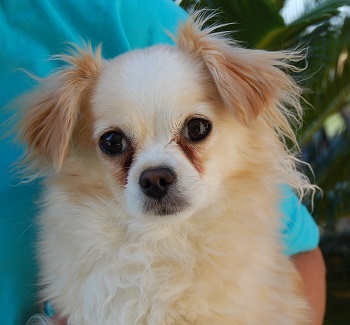 ***ADOPTED*** Tender-hearted lady, Pekingese & Longhair Chihuahua, spayed, 4 years. Clarice yearns for peace-of-mind in a very stable home. She is afraid of fast hand movements. An experienced, adult-only home is best for her continued emotional healing.